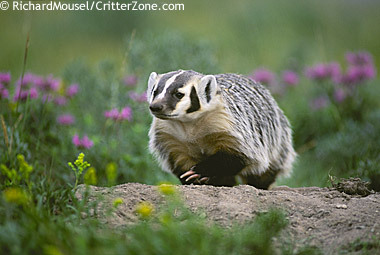 Badger; state symbol of Wisconsin ("The Badger State"). Photo by Ed Bierman/Flickr (Use Permitted with Attribution). 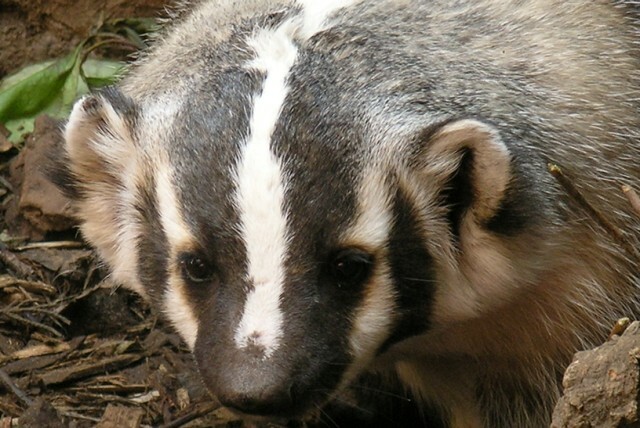 Wisconsin's nickname is "The Badger State" because miners dug tunnels into hillsides searching for lead ore in the 1800's (galena, the state mineral) and often lived in abandoned mine shafts, reminding people of badgers (the nickname also described the hardworking, energetic settlers of the Wisconsin Territory). According to Wisconsin Blue Book; "Although the badger has been closely associated with Wisconsin since territorial days, it was not declared the official state animal until 1957. 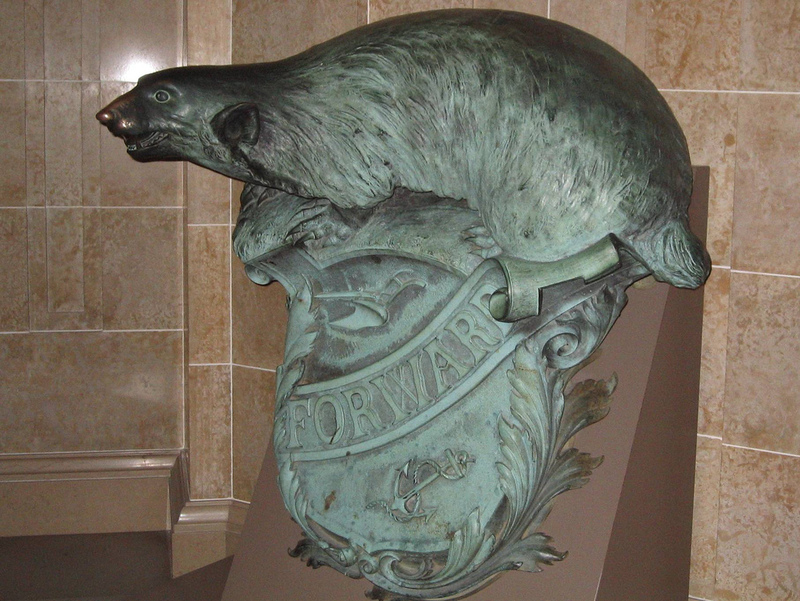 Over the years, its likeness had been incorporated in the state coat of arms, the seal, the flag, and even State Capitol architecture, as well as being immortalized in the song, “On, Wisconsin!” (“Grand old badger state!”). “Bucky Badger” has long been the mascot of the UW-Madison. In 1957, a bill to establish the badger as state animal was introduced at the request of four Jefferson County elementary school students who discovered from a historical society publication that the badger had not been given the official status most people assumed." 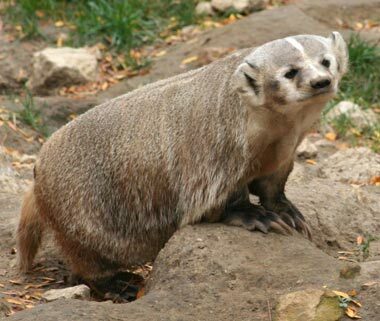 Found throughout Wisconsin, badgers are short, stocky, solitary animals with incredibly long thick claws. Badgers stay hidden inside their shallow dens during the day, hunting mostly at night for small animals found in grasslands like pocket gophers, ground squirrels, rabbits, and small birds. The badger is a ferocious fighter with an attitude and should not be bothered. Badgers will snarl, growl, and can give off a musky and scent like a skunk if disturbed. Badgers spend 90 percent of their time in their den (or "sett") during Wisconsin winters. Badger; photo © Richard Mousel / Critterzone: Animal Pictures, Nature Stock Photography (all rights reserved; used by permission).